As a Registered Nurse and full time caregiver I research and investigate issues and post all the information I uncover. Read about how to facilitate health, fitness and wellbeing through caring. Writing to inspire, helping to sustain caring in the home whether you are a caregiver to a parent, child, relative OR whether you are overcoming a trauma or medical setback yourself. We all seek information,comfort and reassurance in our predicament. We also seek realism that we can relate to as we strive to do a good job. Read my writing to boost your day and lift your psyche. No one need feel disengaged – I hope my supportive posts bring you into a group – Everyday Carers! This anecdote reiterated to me that everyone needs encouragement wherever and whatever they are doing. With a little positive feedback, we walk taller, smile and take pride in our ourselves and our work. If you are working irregular antisocial hours or isolated at home, positive reinforcement is harder to come by. Everyday Caring can be read 24/7, at your convenience. Supportive writing that connects as we all strive to manage multiple demands within complex situations. 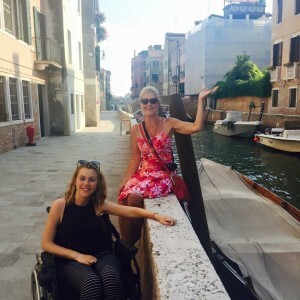 Everyday Caring shares day-to-day experiences covering living with spinal cord injury and my journey as a developing caregiver. I write to raise awareness of issues and advocate for equality in an inclusive, tolerant society. I write promoting the ambition to succeed, travel and live a healthy, fit life. Follow Everyday Caring to receive posts on everyday issues, wheelchair life, positive psyche for healthy fit living. This entry was posted in Carers Support, Life after SCI, Lifestyle Choices and tagged email posts, Follow blog, Follow Everyday Caring, Subscribe by everydaycarer. Bookmark the permalink. Goodness I have just found you via Another Day In Sydney and there really is no such thing as coincidence. I do hope that my honest blogs help. I am hoping my book will be up on this site soon which addresses the acute issues faced after trauma.